We’re Viant, and we’re in it for life. Our new name is rooted in the Latin word for life, which is the driving force behind all that we do. We’re in it for the lives of our customers and the lives of the patients who benefit from life-saving medical devices. And as a business, we’re in it for the long haul…for life. Viant is more than just a new name. We’re a new company carefully curated to bring you unrivaled capabilities and true, end-to-end medical device solutions—and we’ve only just begun. Viant is forging a new future by combining unmatched expertise and global scale with a culture of quality. 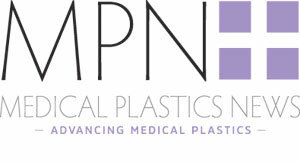 We have deep roots in medical plastics, both thermoplastics and elastomers. We bring together vast knowledge of a wide range of materials with a broad understanding of clinical applications and manufacturing processes to help you select the materials with the characteristics you need for optimal performance. We offer the widest range of plastic molding capabilities in the industry, including highly specialized processes such as blow molding and thermoforming. Our facilities are designed for quality and efficiency, featuring 450 injection molding machines ranging from 3 to 1000 tons. Viant’s 24 facilities around the globe are strategically placed near medical device hubs, offering our OEM partners local access to global resources—including several low cost geographies. With more than 1 million square feet of manufacturing and assembly space, we have the resources to quickly scale up production using automated equipment for fast-growing product volumes. Our leaders have years of experience in the OEMs we serve and understand the challenges you face. They’ve created a culture of relentlessly upholding your reputation for delivering high-quality, high-value devices that your customers depend on. The people behind Viant—all 6,000 strong—take pride in working with you to bring to market high-quality medical devices that save or enhance lives.